Hardly any of the past Android updates have really struck me. It’s not that Nougat or Oreo were lousy versions of Android, but there wasn’t that much to explore on the operating system. All this is going to change with Android 9 Pie. I wanted to share my first experiences of the newest version of Android, which I’ve now had 48 hours to enjoy. Things started to get going a few weeks ago. My Pixel 2 XL with Oreo started to develop a few strange quirks. Apps sometimes didn’t start, Google Maps would get stuck and not work anymore. This is a sure sign that it’s time to reset, and I couldn’t deny myself an update. Instead, I just waited for the final version of Android 9 and installed it immediately. The results are amazing. Apps start noticeably faster, and I’ve never experienced crashes since then. Android Pie has noticeably improved the performance of my Pixel 2 XL. This is also due to some details. For example, Google changed the animation when apps launch. App icons fly from their place on the display toward the middle and grow to their maximum size. It’s these small changes that make a real difference. After almost two days with Android Pie, I got used to gesture control. It’s not perfect, but I find myself constantly swiping through all the open apps. I still can’t switch between apps, so I’ll need a bit more practice, but using gestures will be second nature for me soon enough. It’s a shame that the gesture control with alternative launchers doesn’t really work yet. I used the Evie launcher, but it can’t handle the swiping gestures and won’t display the app drawer when I swipe up from the multi-tasking view. I didn’t really want to get involved with Digital Wellbeing, but in the end I installed the app, although it's not that interesting. It’s interesting to see which apps you use frequently with a new software update, but for me, they don't have much added value. I probably won’t set up locks and won’t limit notifications about mails and urgent notifications. But I might need a little more time to really understand the features. You’ll have more time with your device with Android P. We already know that the battery and runtime of the smartphone are closely linked. Will the Pie update get the extra autonomy that Google promised? Yes! That wasn’t just some empty promise. On the very first day, I probably had an additional 10 percentage points of charge when I left the office. On the second day, my Pixel 2 XL lasted even longer. Although we already know almost every feature of Android Pie thanks to the preview version, we only get to see the true qualities of Pie in its final version. You can't seriously measure battery life and performance from the preview versions, but now it’s clear: Google has delivered this time around. All I can say is wow, what happened on Android 9 Pie! Hardly any Android version of the past years has brought such tangible improvements. With Android Pie, Google has succeeded in creating a masterpiece. There’s one “but” I have to mention to make things clear. Since it’s still completely unknown what features users will actually get their hands on. With Pixel smartphones, Android One and AOSP Android, Google has established three different versions of Android. The Pixel smartphones are given absolute priority in Android development, and I noticed this clearly with my Pixel 2 XL. Many of the improvements - especially the adaptive battery optimization - should also come to Android One smartphones. But what about manufacturers who rely on AOSP Android? More than ever, it’s a good idea to purchase a device that has software that’s close to Android stock. I only recommend a smartphone without Android One if it’s a Pixel. 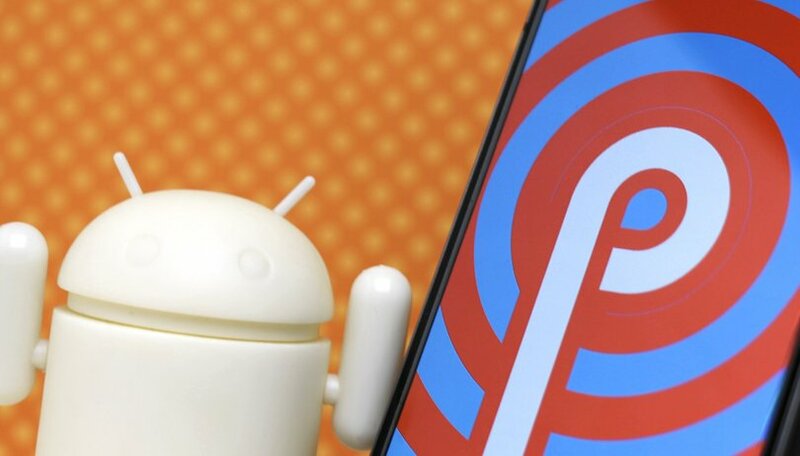 Have you already tried Android Pie on your device? What are your first impressions? The improvements you mentioned sound like placebo. First you say that your old Oreo installation "started to develop a few quirks". It's not surprising to me that a freshly installed OS will run better than an old one, so what makes you think Pie users will not experience a similar slowdown over time? Same thing with battery life, actually most of the battery in a modern smartphone is sucked by the screen, so it's unlikely there would be any big changes in screen-on-time. I don't like it. Silence mode don't include the option to be stopped with the alarm. When you use the drag options it won't feature the same of opportunities as before. So far Android 9 is horrible for me. Apps don't open. If they do open, phone freezes. Wish I could go backwards to previous OS. Got the update early last week - result = totally brilliant. Really happy I purchased my Pixel 2. Will probably skip the Pixel 3 and go for the Pixel 4 assuming UK carriers have rolled out 5G by then. The new auto brightness is a battery pig until you give it some feedback. The assistant is more invasive. I wish Google gave you more control of how much assistant you want. I hadn't read anything on the tweaks to the home button and app drawer. That's highly non intuitive but nice once you get an introduction. I've been giving auto-brightness feedback since installing Pie, and it still wants to run my phone dimmer than I like it. I want it around 82 - 85% bright, and the phone wants to run around 62 - 65%. You'd think that after correcting it 3-4 times it would give up and let you have it the way you want it ... but NO, the phone knows better! I'll give it a few more days, and if this continues I'll turn off auto-brightness.